You cringe when you fall upon a recipe that requires a pot, tool or machine you don’t have. 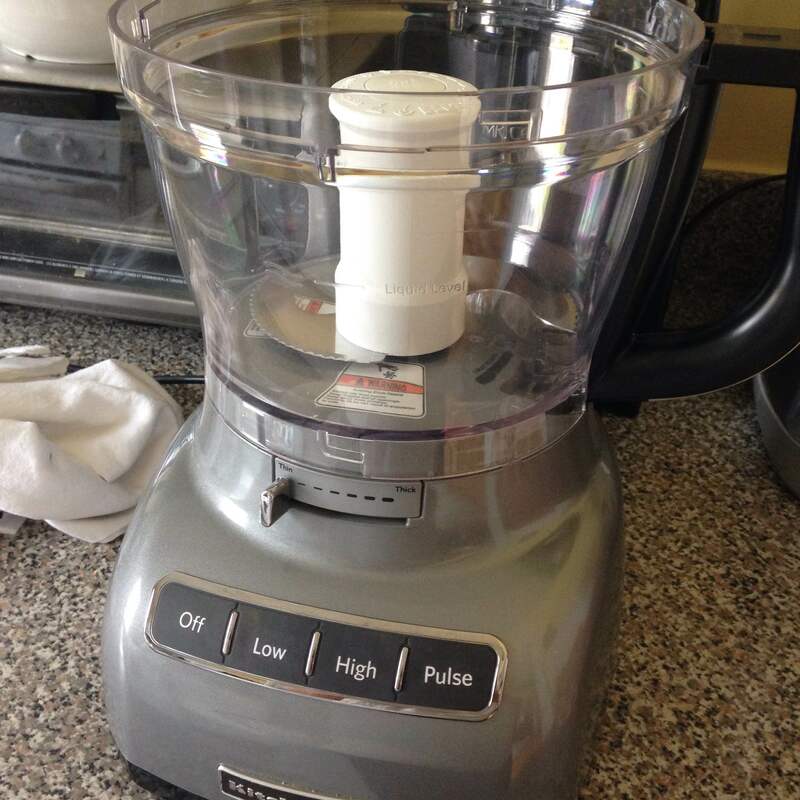 I had dropped many hints for my husband to buy me a food processor and one Christmas my kitchen dreams became reality. The ironic thing is since he’s bought it for me I’ve only used it a handful of times. 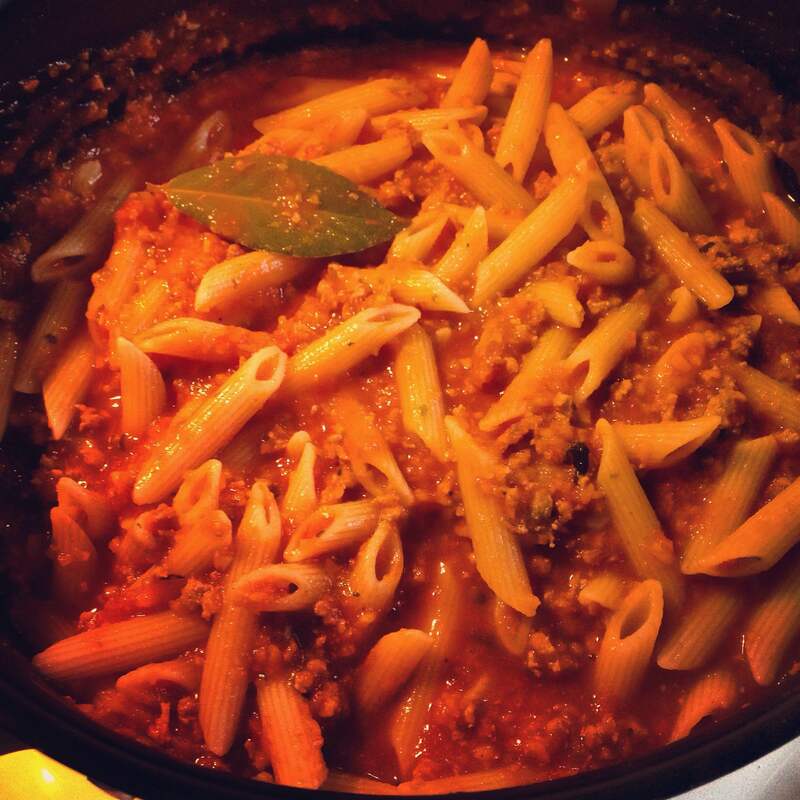 One dish I’ve never made before, funny enough growing up with an Italian father in the kitchen is pasta Bolognese. Now I’m not sure what they did in the past when food processors didn’t exist but as long as I can recall my dad always minced his veggies in some type of machine. 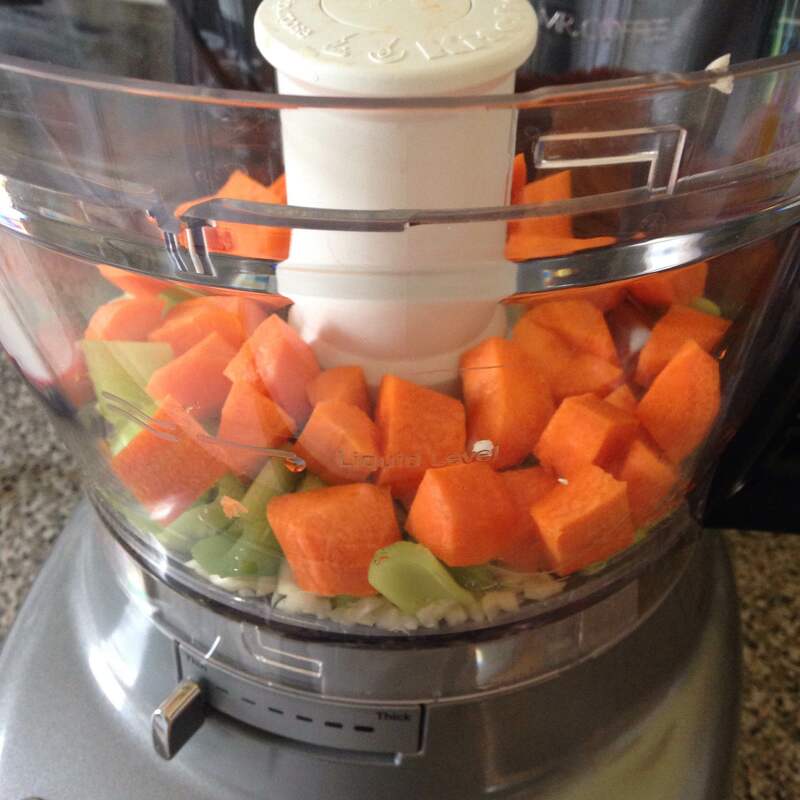 Here was my opportunity to bring out my food processor! The batch I made uses ground turkey instead of beef and we hold the onions here. 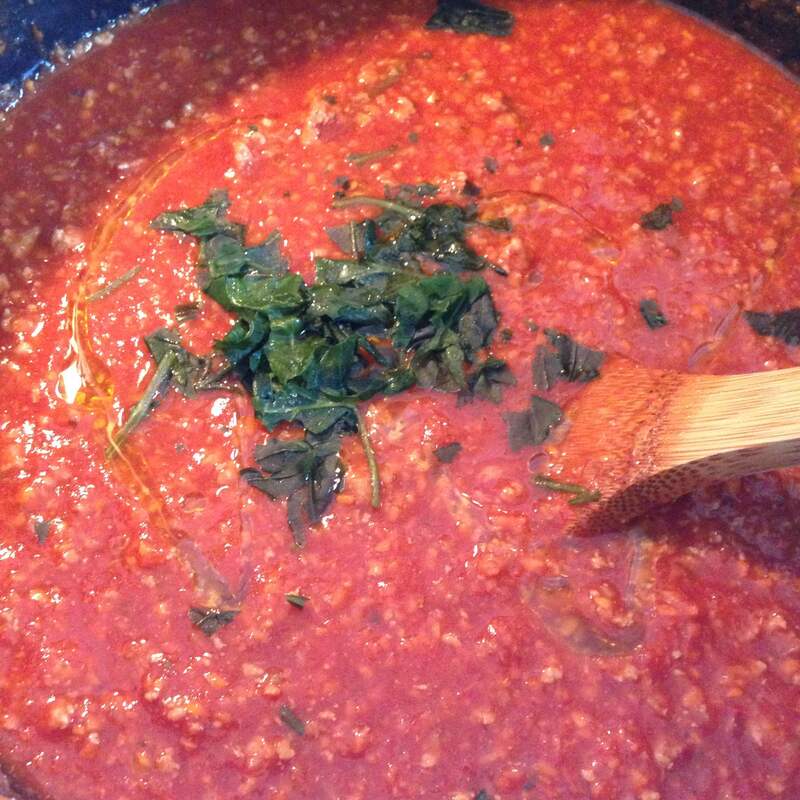 This sauce is flavorful, textural and quintessential Italian. 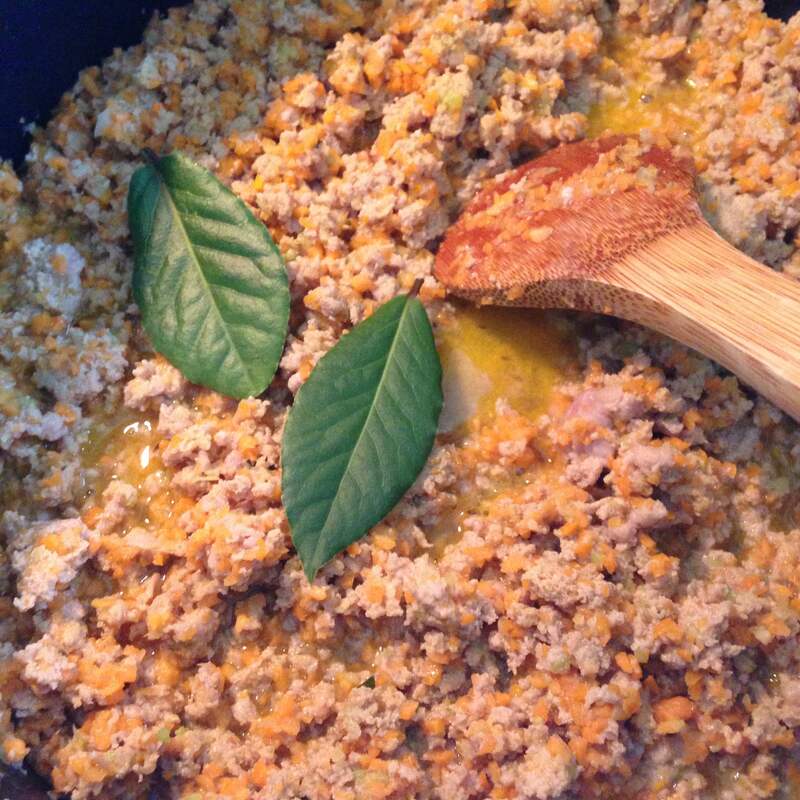 Turkey Bolognese – Make allot – Eat some and freeze some for a rainy day! 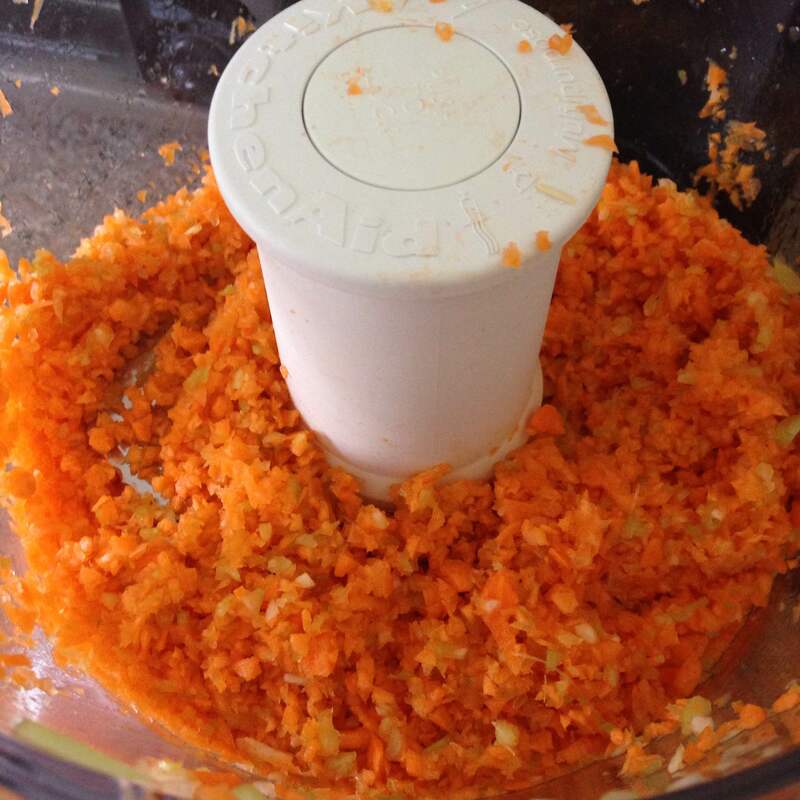 In the food processor – finely mince the carrots, celery and garlic. You can also add in a shallot or any type of onion, but again we prefer no onions. Once processed set the mixture aside. Heat one tablespoon of EVOO in a large sauce pan, brown the turkey meat. Once the meat is almost cooked add the processed vegetables to the pan and add the bay leaves, continue to cook through while mixing. Next add the can of crushed tomatoes, the tomato paste, the cup of wine, the oregano and hot pepper flakes combine all. 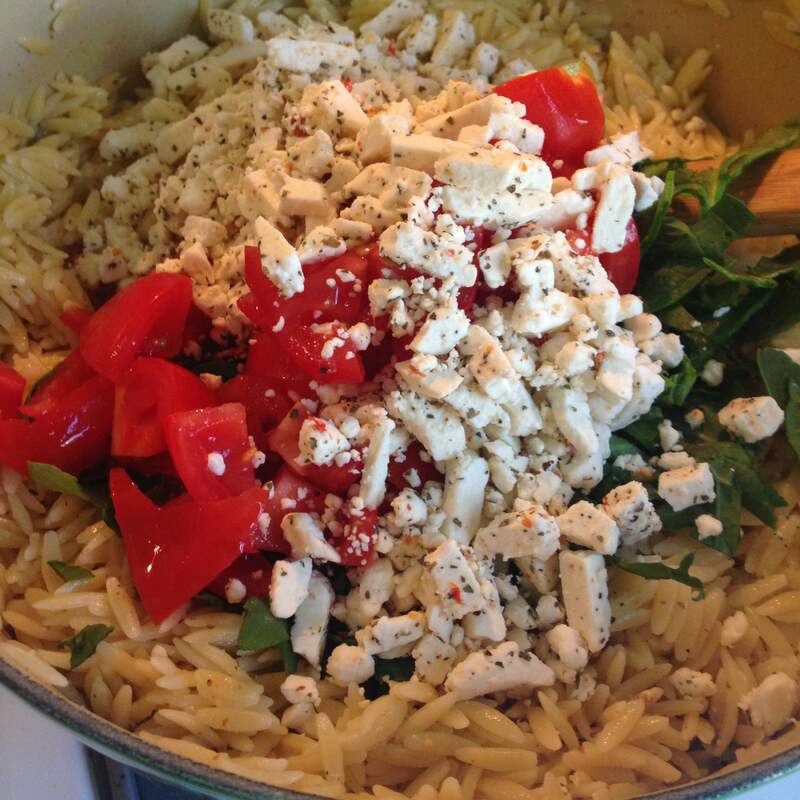 Drizzle one tablespoon of EVOO, throw in the basil and stir. Cover the pan and simmer the sauce on medium to low heat and let cook for about half a hour. Once half and hour or so passes – start to boil the water for the pasta. You can keep the sauce on very low or turn off and cover to keep warm. 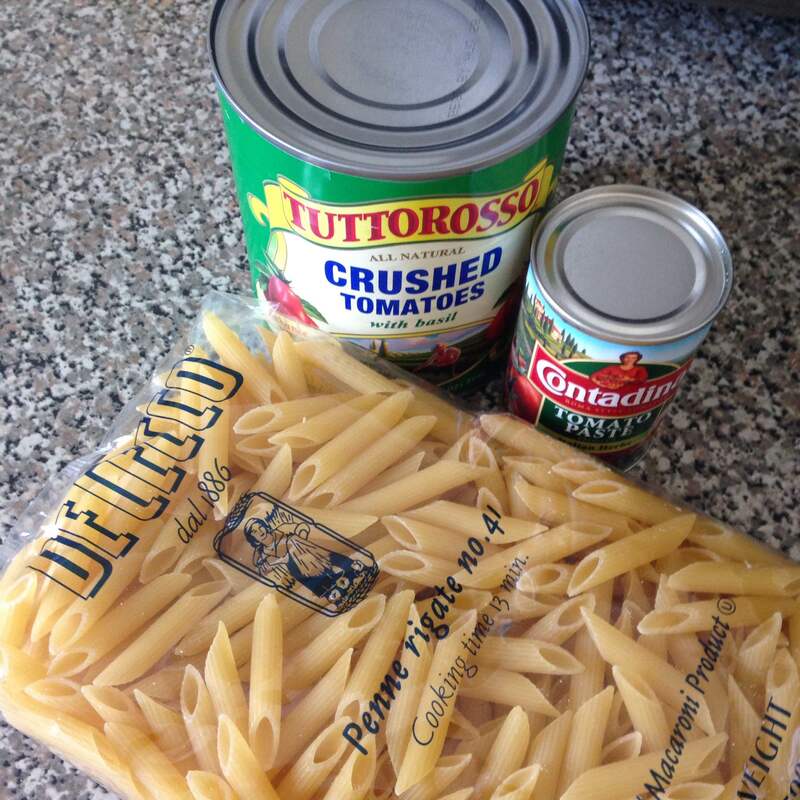 Boil your favorite type of dry pasta– once cooked drain the pasta. Add the cooked pasta to the sauce pan. 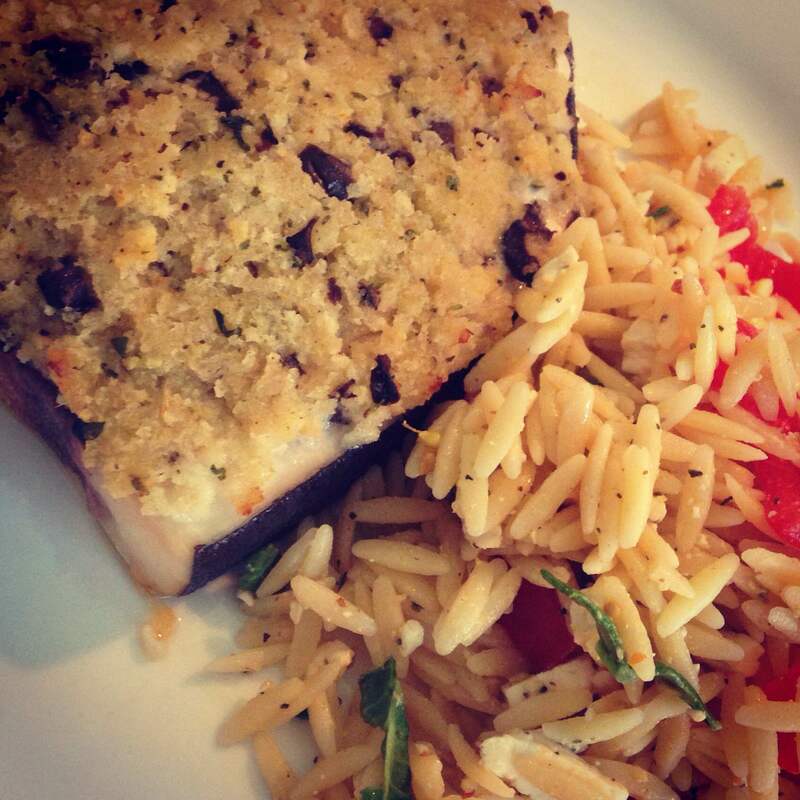 Plate the dish, top with grated parmesan and enjoy! 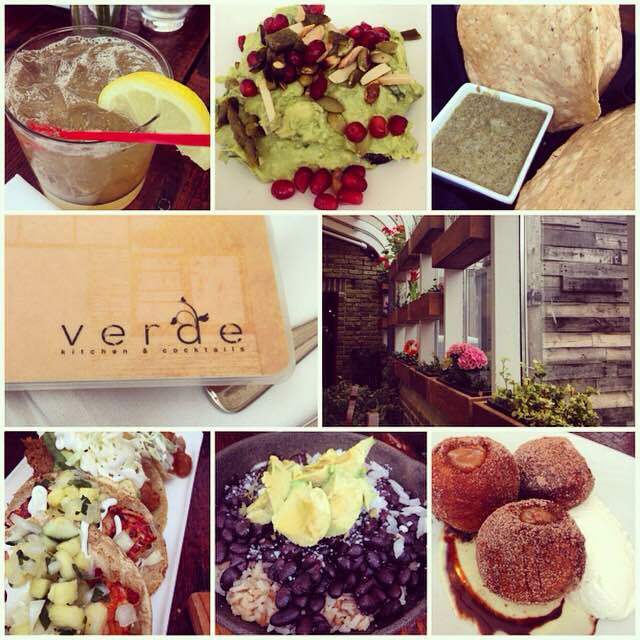 Main Street in Bayshore is becoming a foodie hotspot and newcomer, Verde Kitchen & Cocktails, is pumping out some authentic Mexican food that is sure to keep you coming back. My friend and I met up here last week to have an early dinner. For a Thursday the back dining room filled up quite quickly. When we left we saw the bar area pretty crowded for their happy hour of 1/2 price tacos, quesadillas and drink specials. The back dining room is a live green house where the window boxes hold the fresh herbs and peppers they use to cook in the kitchen. It was well appointed with wooden tables, fresh flowers, and mismatched vintage chairs upholstered in coffee bean bags. Because of the vintage feel I was surprised to see the menu was laminated – I’m a sucker for details and would have preferred a more unique presentation of the menu than the sticky salsa stained plastic one in my hand. I started with a cocktail, the Jalisco Pear. It was sweet but not overpowering and I could definitely sense the tequila, but the pear infused liqueur was delicious. That evening they had a special margarita that was combined with sangria; the description sounded pretty awesome, but I wasn’t able to try it. For an appetizer we chose the Guacamole Rajas: fresh avocados melded with roasted poblano peppers, almonds, pepitas, and pomegranate seeds. The toppings lent texture and flavor to the creamy avocado and it came with crispy tortilla circles for dipping. This was a great starter to dinner. We decided to order two types of tacos and split them (since each order came with two) along with a side of rice and beans. The first taco was the Camarones: plump juicy shrimp with a grapefruit marinade coming through and crisp cabbage topped with a pineapple salsa. It was so fresh and the shrimp were simply delicious. The second taco was the Pescado: a large hunk of crispy battered white fish wherein the crust was flavorful, not oily, and the fish was flaky and seasoned well. This was topped with avocados and a grapefruit hot sauce – again, another sure winner for their taco lineup. If my stomach had more room I would have tried the Barbacoa (brisket) taco. Combining the tacos with the rice and beans was a great option (one side of this was big enough for sharing). My only caveat with the tacos was I wish they had offered the option to have flour tortilla instead of corn. To finish off the meal we split the House Made Doughnuts, warm pillows of fried dough filled with dulce de leche – an absolute perfect end to dinner. Finally, the service at Verde was perfect as our waitress was attentive and able to explain the menu clearly. I already have plans to be back here next week for their brunch and will certainly be coming back for dinner to try one of their main dishes. The Carne Asada (skirt steak) with toasted garlic rice has my name written all over it. Cheers to the staff at Verde – well done! We love Parmesan sandwiches but sometimes they can be overkill with too much sauce and cheese. This version is a bit toned down and I used pork instead of chicken. 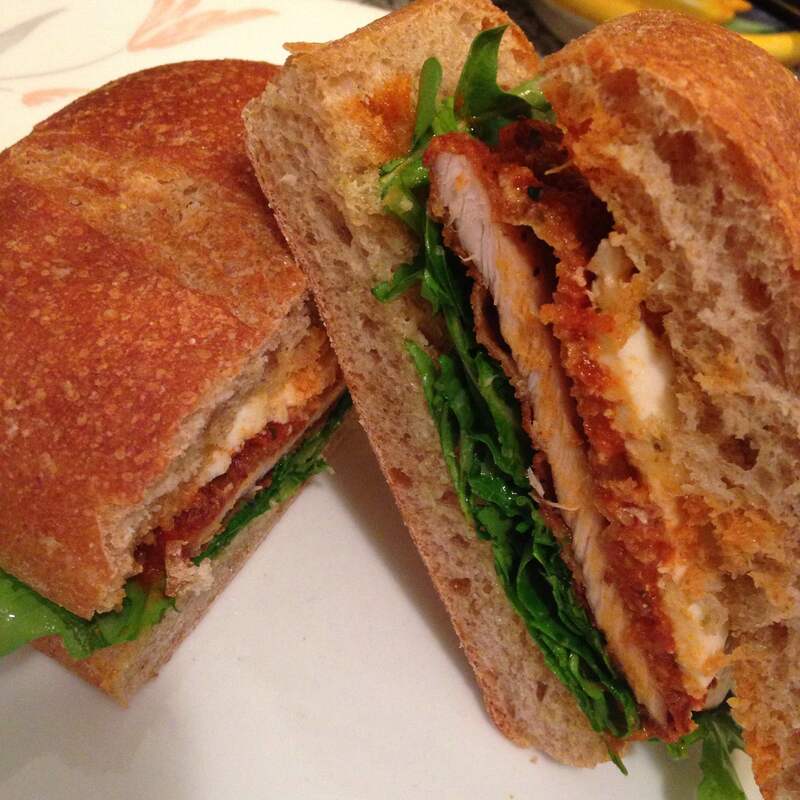 The lemon dressed arugula adds another level of texture and flavor to the sandwich and ties everything together for a fresh take on the classic Parmesan sandwich – This is a Recipe Real Life re-do! To Note: I used some defrosted sauce I already had stored in the freezer. The sauce needed for the sandwiches is so minimal that I’d suggest using leftover sauce from another night of cooking or your favorite jarred store bought sauce. 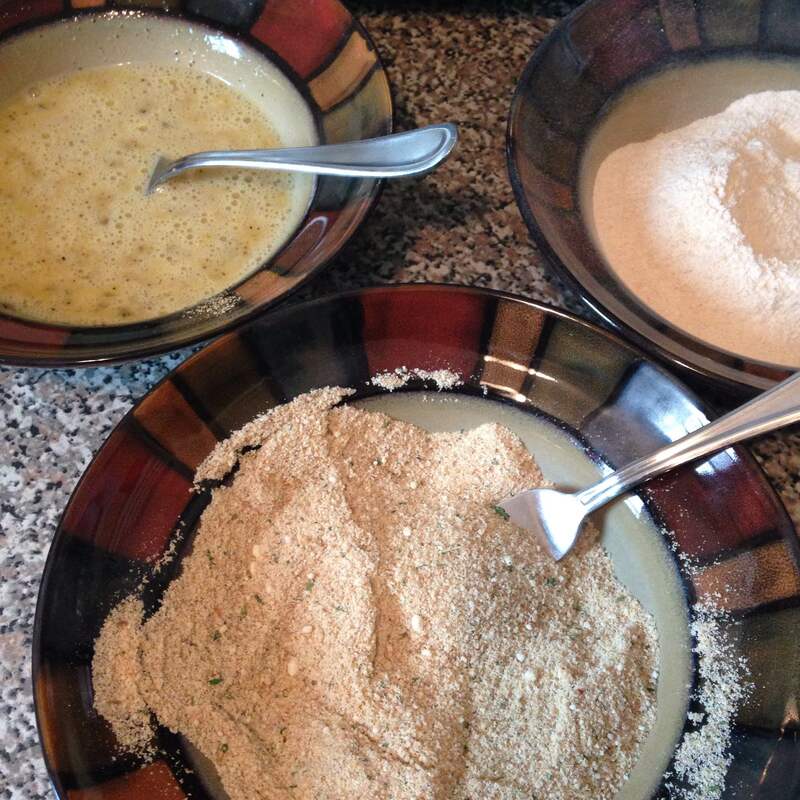 Prep your space with three containers – one holding the flour, another holding the eggs and the last holding the breadcrumbs. To Note: I like to season the scrambled eggs with pepper and the breadcrumbs with garlic powder and grated Parmesan. 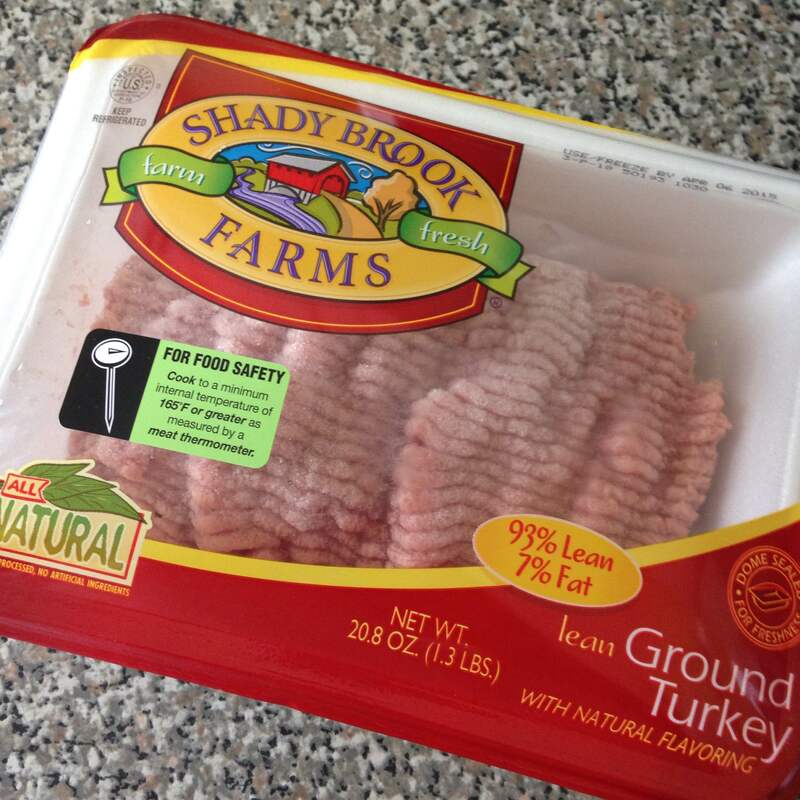 Trim the cutlets of any fat and pound them out under plastic wrap to get them nice and thin. You can use a mallet or even a rolling pin to do so. 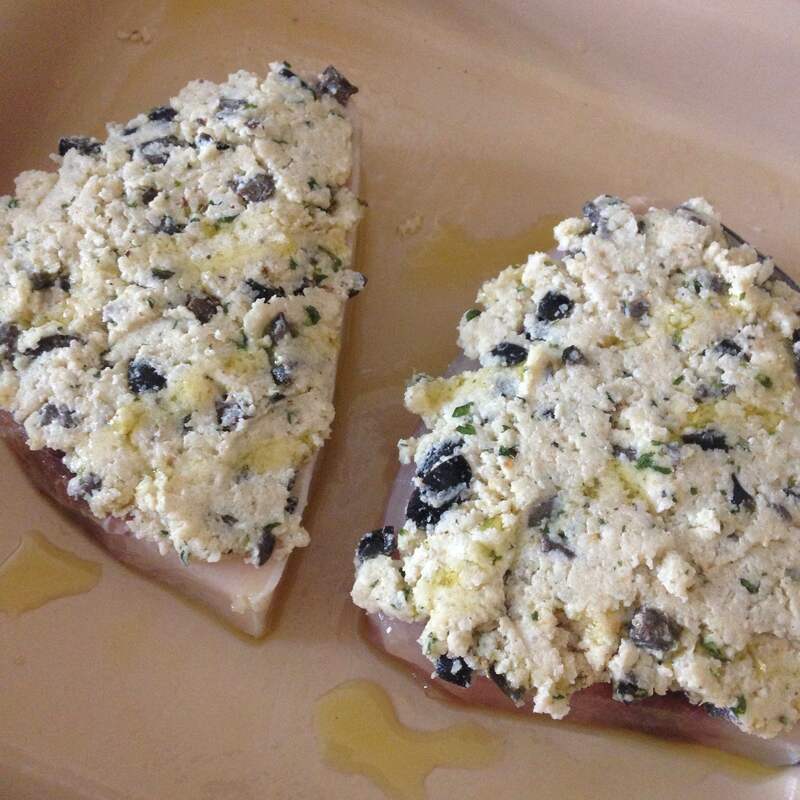 Season the cutlets with salt, pepper and garlic powder. Dredge each cutlet into the flour, then into the egg, then into the breadcrumbs and set aside until all the cutlets are done. In a frying pan set up the frying oil – set on medium heat. 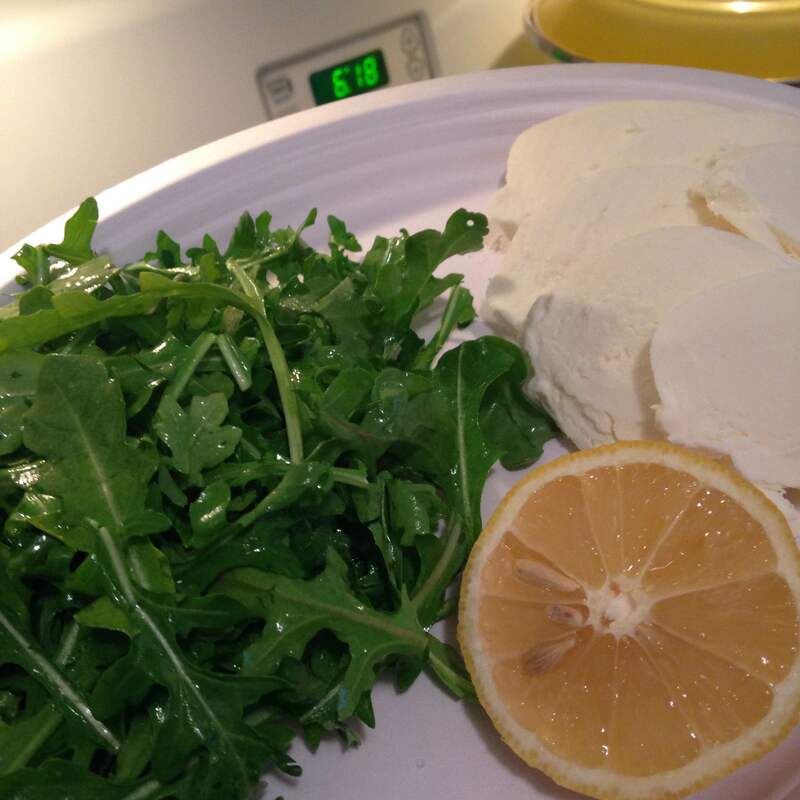 While the oil is heating up prep the arugula leaves and mozzarella slices. Slice the mozzarella into ¼” slices and place in fridge. In a separate bowl take six cups of arugula leaves and toss them with a tablespoon of olive oil and the juice of one lemon. Place in fridge. 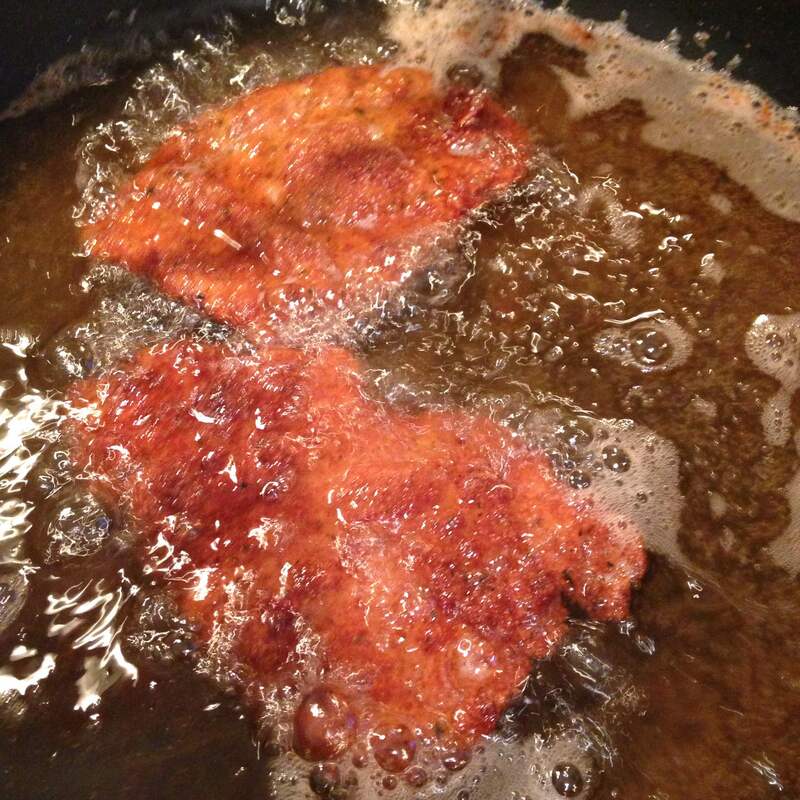 Fry up each cutlet till a nice deep brown crust is formed. Periodically flipping them so they get an even fry. 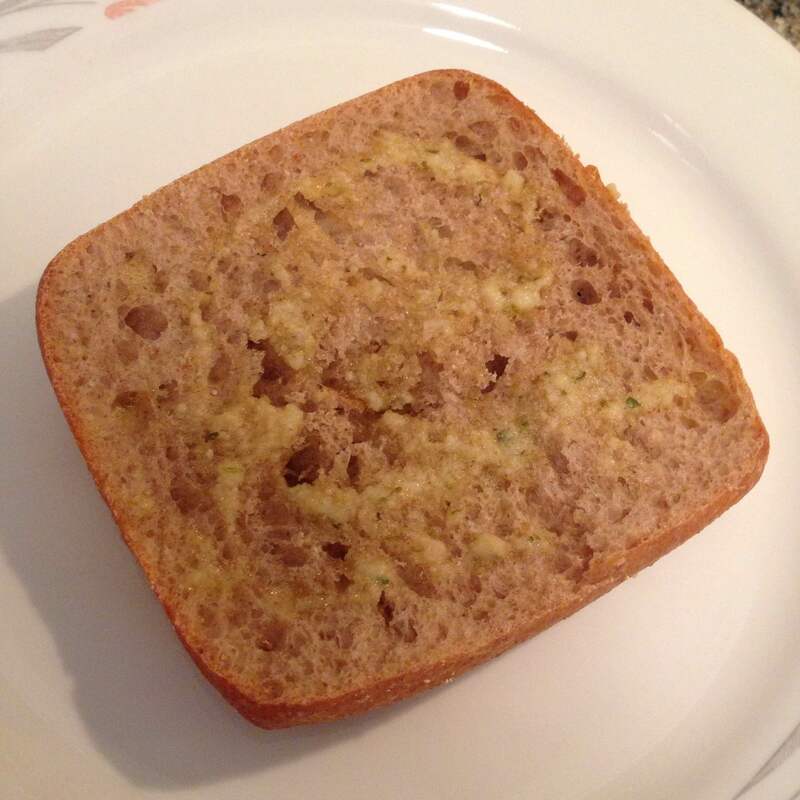 In a microwave safe container melt 1 Tablespoon of butter. Once melted combine with 1 Tablespoon of Olive Oil, 2 Teaspoons of Garlic Powder, 2 Teaspoons of Grated Parmesan and 1 Teaspoon of Oregano. Spread the mixture on each of the four pieces of bread. Place in oven to toast. While bread is toasting warm up the sauce in a sauce pan. Season or drizzle some EVOO if needed into the sauce. Once bread is toasted it’s time to put the sandwich together. Take the bottom slice of the roll and place on a plate. 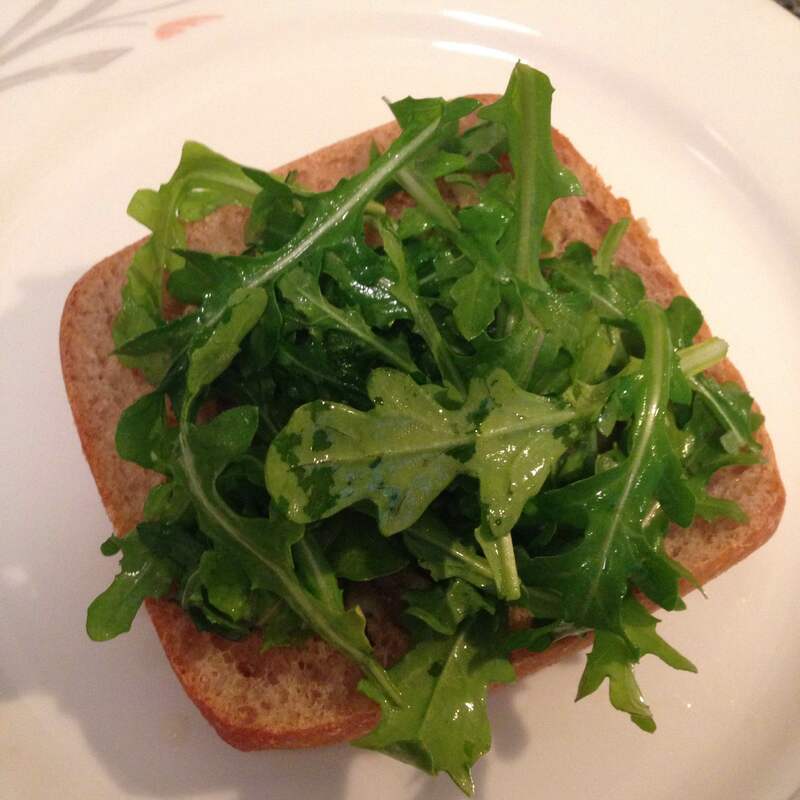 Place a bunch of the arugula leaves on the slice. 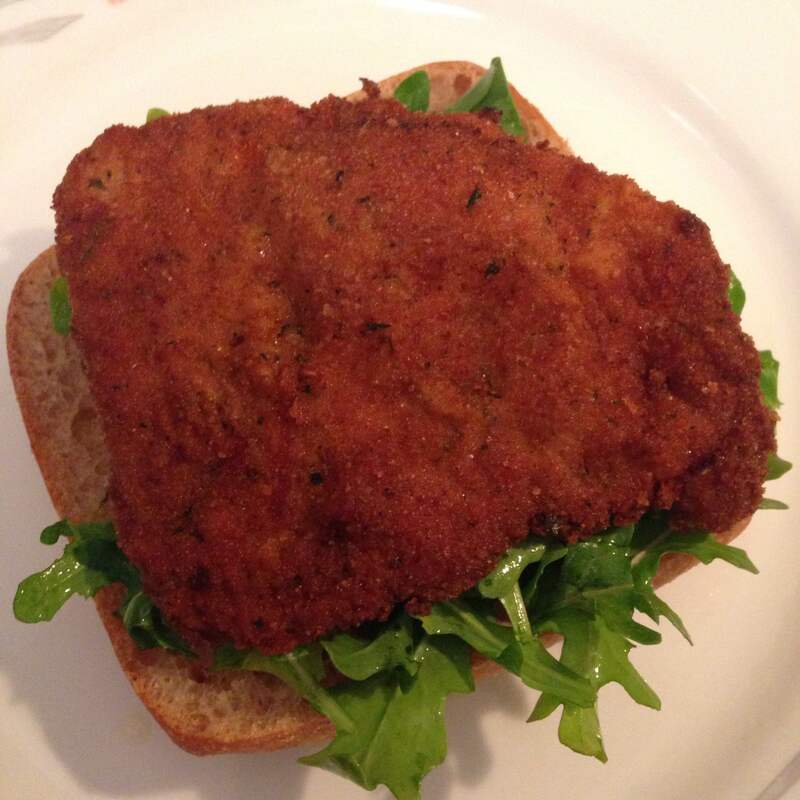 Then place a cutlet onto the arugula. Next spoon about two tablespoons of sauce onto the cutlet. 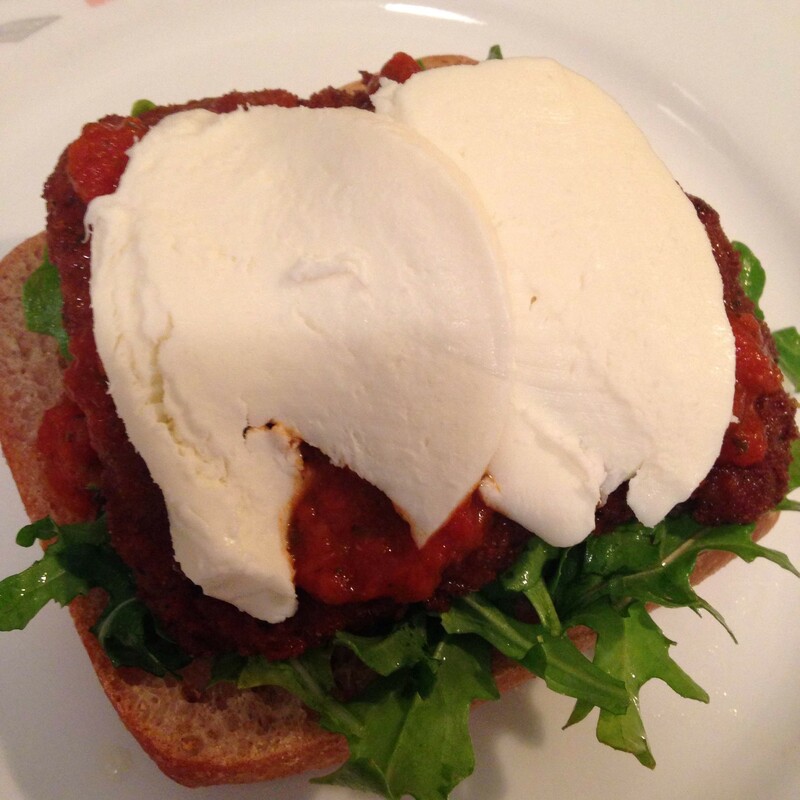 Then place two slices of the mozzarella and close the sandwich with the top portion of the roll. 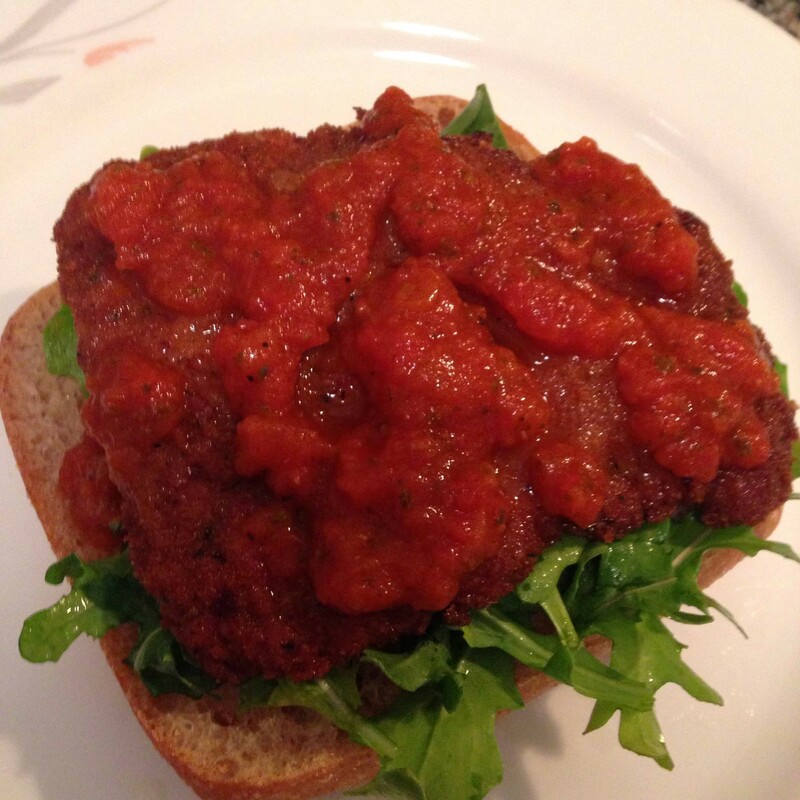 Cut in half and serve on a plate with a portion of the arugula leaves. You can also pair the sandwiches with some grilled veggies or a tomato and balsamic salad. Cookery for Two is Back! After quite the hiatus – Cookery for Two is back in action. I’ve still been busy in the kitchen but taking the quicker route and posting photos on Instagram for my friends and followers to drool over. During my hiatus from the blogging world many friends and family have asked why did I stop and some brought me back to my original blogging days when I used to write restaurant reviews – letting me know they missed that too. With the blow up of a site called Pinterest, the ever growing popularity of The Food Network Channel, The Cooking Channel and various wonderful cookbooks making it to the best seller lists its hard to not be inspired by others in the kitchen. 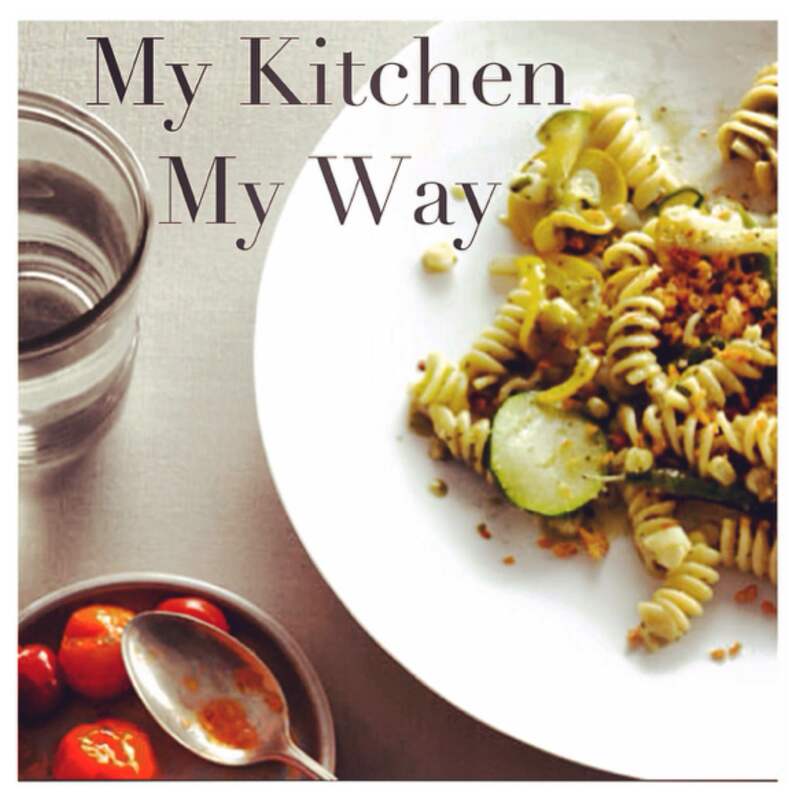 I’ve been trying out other recipes and loving them – I’ve also tried tweaking some of them to suite my palette. With that being said I’ve decided to focus Cookery for Two on three distinct types of postings. My Kitchen My Way Here I will continue to post family recipes, or cooking ideas I whip up myself in the kitchen. Posting photos, ingredients and directions. I’ll sometimes make suggestions for ingredient swap outs to cater to those with various palettes or budgets. 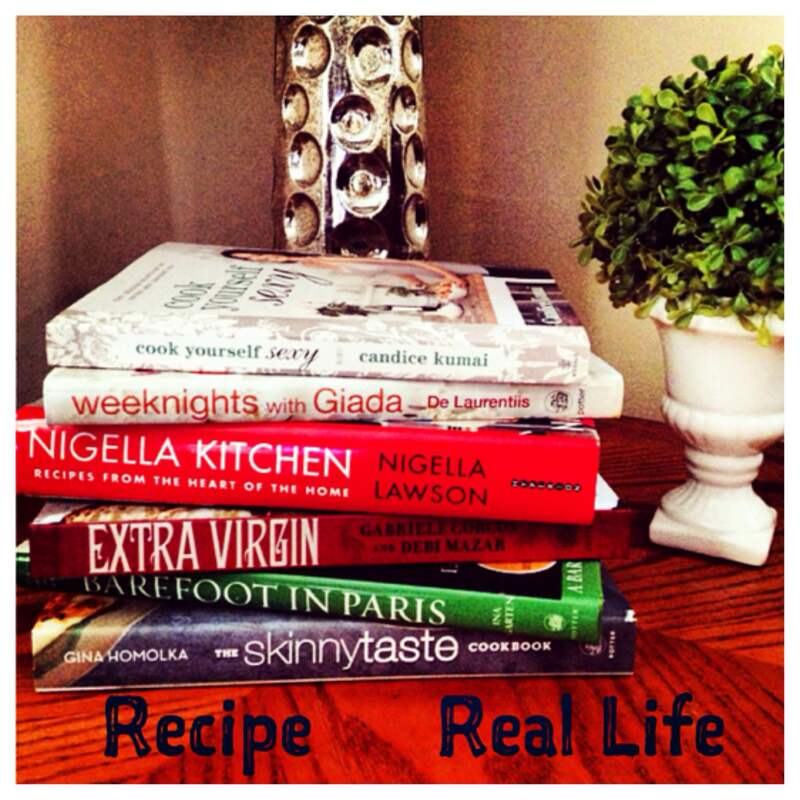 Recipe Real Life Here I will talk about my experience in trying to replicate various recipes from cookbooks and online sources. Reviewing each of them on how easy, how expensive and how great they actually are. Photos, directions, ingredients lists to be provided for each post of course. 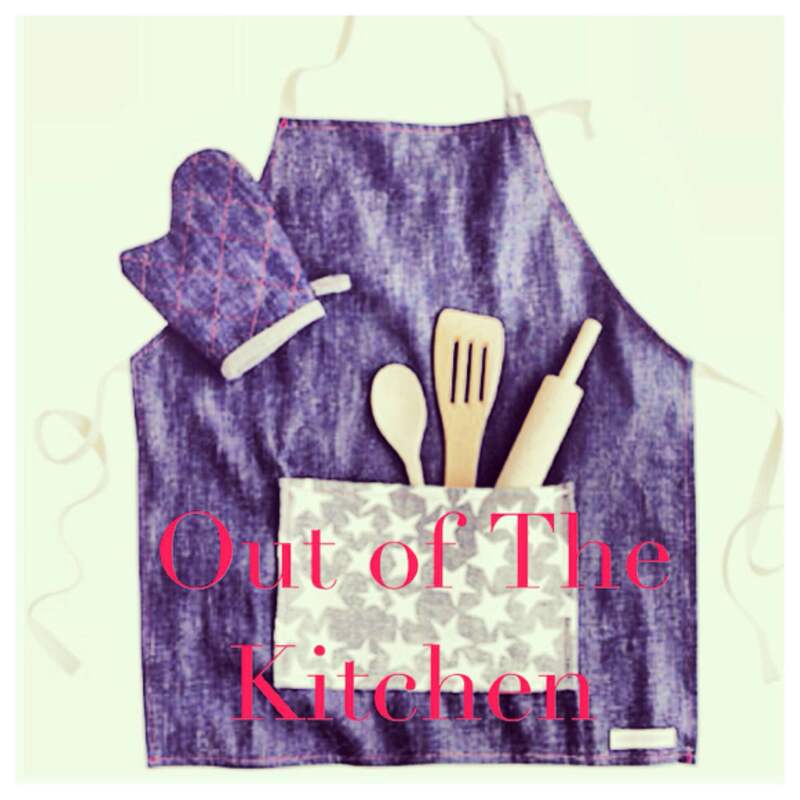 Out of The Kitchen Here I will give those looking for restaurant reviews exactly what their looking for. A breakdown of the ambiance, the service, the food and the drinks. I often like to go out with my husband trying new places on Long Island or in NYC. Also dining out with friends and family or visiting popular foodie spots when on vacation. I will include all those experiences here – photos and all. Look out for new postings this coming month and Thank You again to all those who have pushed me to start sharing again. This is a great recipe to make with the guarantee of leftovers or for a friend who is in town and might be visiting. It’s fairly simple but has a number of steps – the end result is a delicious and filling Italian inspired meal. The ingredients used can always be swapped around for a more customizable culinary experience and the recipe can always be doubled to serve a larger dinner party. – Pre-heat oven to 375 degrees. – In a shallow baking dish place ¼ cup of red wine and a ¼ cup of chicken broth. – Sprinkle in garlic powder, black pepper and a drizzle of olive oil and set the dish off to the side. 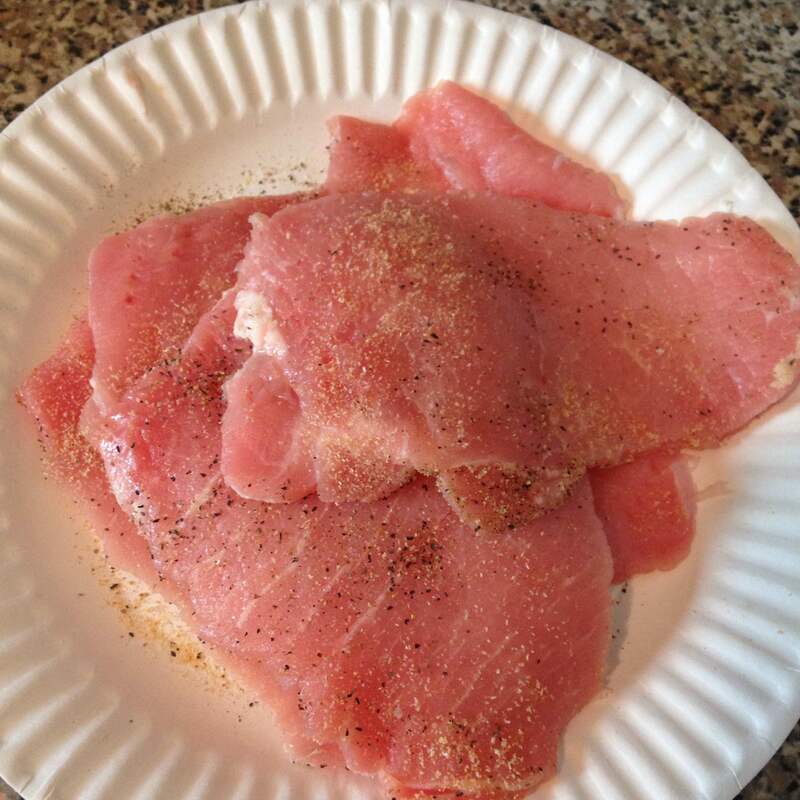 – Now take each chicken breast and lay out flat in front of you, take one piece of prosciutto and place on top of chicken, then a piece of mozzarella and place on top of the prosciutto. – Roll up tightly the chicken and secure with two to three toothpicks. – Now with the pastry brush coat each Rollatini all the way around with a thin layer of olive oil and season lightly with salt. – In a separate dish you will combine a cup of panko bread crumbs, a sprinkle of the parmesan cheese along with a sprinkle of black pepper and dried oregano. – Take each roll and dunk into the panko mixture, turn and press mix into the chicken till it’s fairly covered then lay gently into the baking dish. – Drizzle small amount of olive oil over the rolls to help them brown. – Now place the baking dish uncovered into the oven. 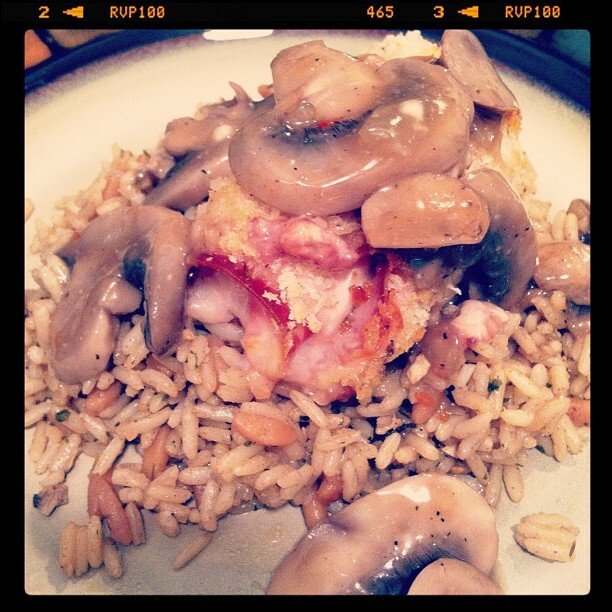 – While the chicken is cooking you can make the mushroom sauce. – In a saucepan bring ½ cup of red wine and a ½ cup of Marsala wine to a simmer. – Throw in the fresh mushrooms and put heat on low. 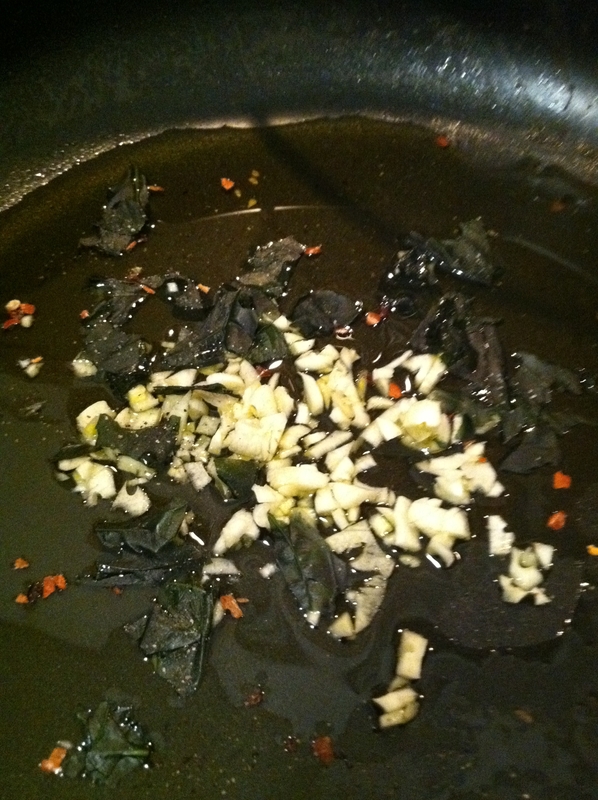 – Season the sauce with red pepper flakes, garlic powder and black pepper. 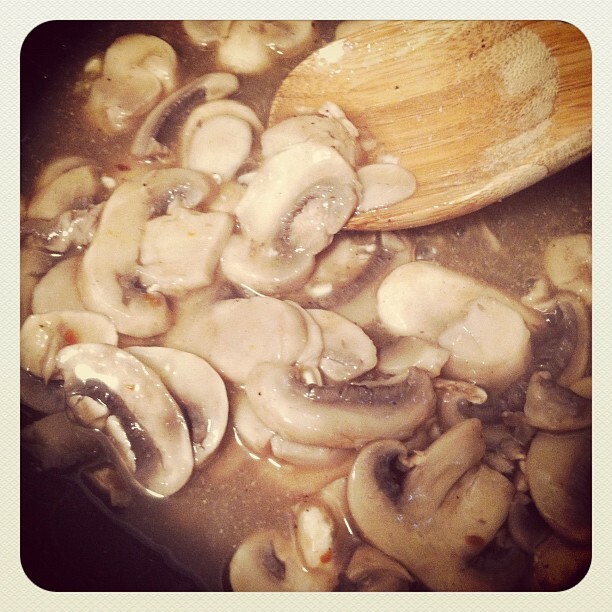 – Simmer till mushrooms have softened. – Now gradually whisk in a table spoon of cornstarch. – You will notice that the sauce will start to thicken. – Be sure to get all the clumps of cornstarch out by continually whisking. – You can keep the sauce on very low heat while the chicken continues to cook. – Depending on how thin the chicken breasts are it should take only about 30-45 minutes for the Rollatini to be cooked through. 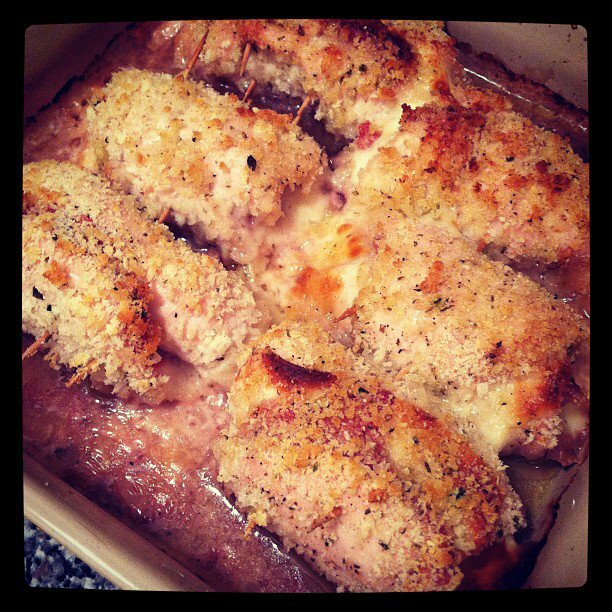 – You should notice the cheese oozing out and the panko browning into a nice crisp crust. 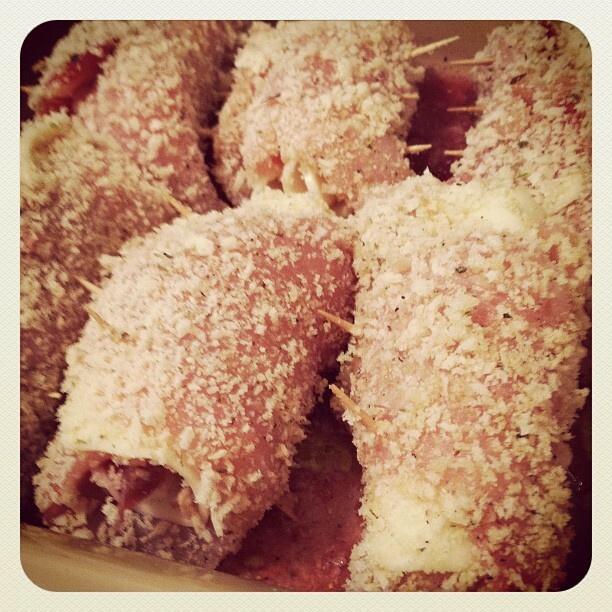 – When ready to serve, remove from oven and be sure to remove the toothpicks in each roll. – Plate two Rollatini on top of a side of your choosing and drizzle mushroom sauce over the plate. *Feel free to serve over a bed of wilted spinach, mashed potatoes or even creamy polenta on this evening I used a quick prepare mushroom pilaf. *You can always try different fillings or even season the panko differently if you want. 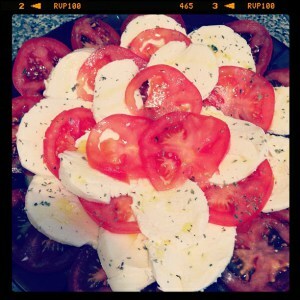 *I served before dinner a salad of fresh tomatoes and mozzarella. 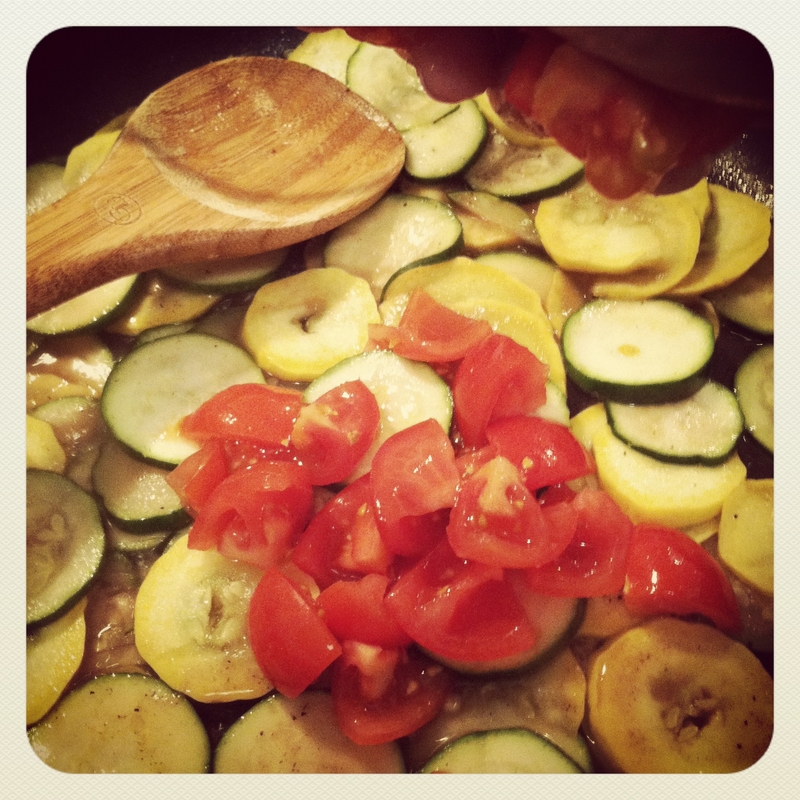 Ratatouille a word synonymous with French Cooking is a combination of nutritious vegetables either sautéed or presented in a layered fashion. Mostly served as a side dish but when combined with pasta it makes a hearty and colorful dish sure to please. During this Lenten season where there are many days you’re asked to refrain from consuming meat this dish is the perfect meal to serve up. Enjoy with a nice glass of red wine and don’t be shy with the parmesan! -On medium heat warm up a tablespoon of olive oil in a sauce pan. 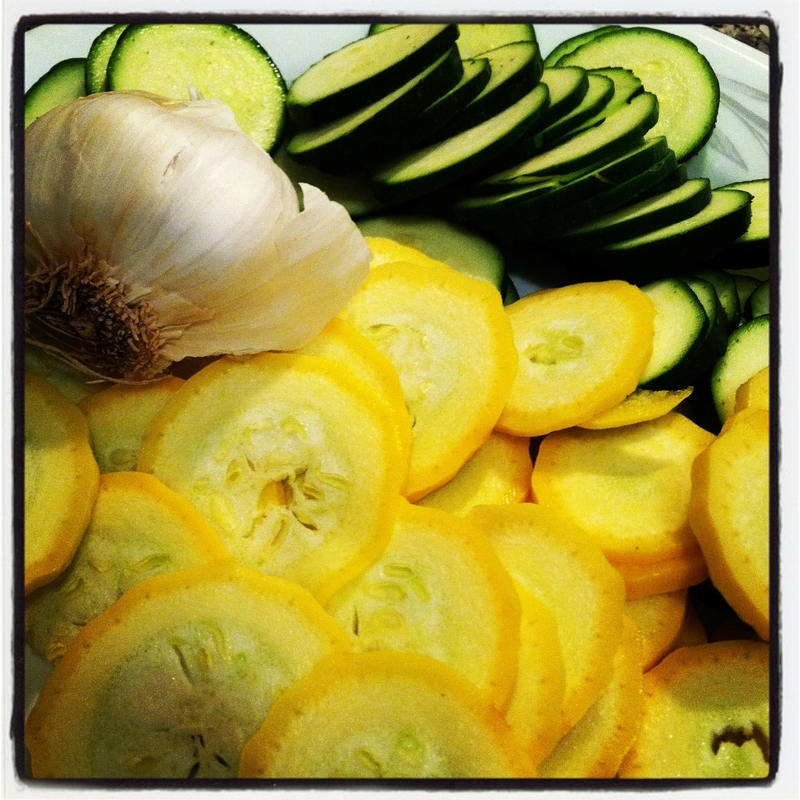 -You will at any point throw in the squash you have sliced up and season with salt, pepper and garlic powder. -Next add in the stock and the red wine then cover the pan and let simmer on moderately low heat. 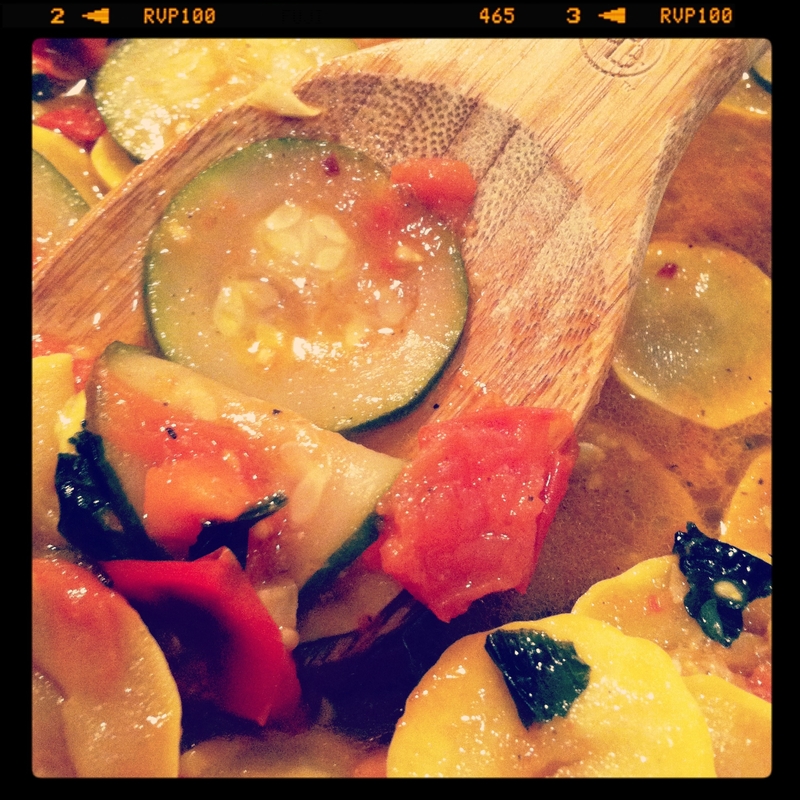 – You will notice the squash will begin to soften when you see this you can add in the tomatoes. – Season the mixture again with salt, pepper and garlic powder and let simmer covered for another two minutes or so. – Once all is cooked through turn off heat and remove all contents including liquid and place in a bowl off to the side. – Begin the boil your pasta water in a stock pot. – Now you will warm up olive oil again in the sauce pan used previous – this time three table spoons. – You will fry up the garlic, olive oil and hot pepper flakes – then place the previous vegetable mix into the pan and combine. – You will want this all to simmer on very low heat to keep warm while your spaghetti is boiling. 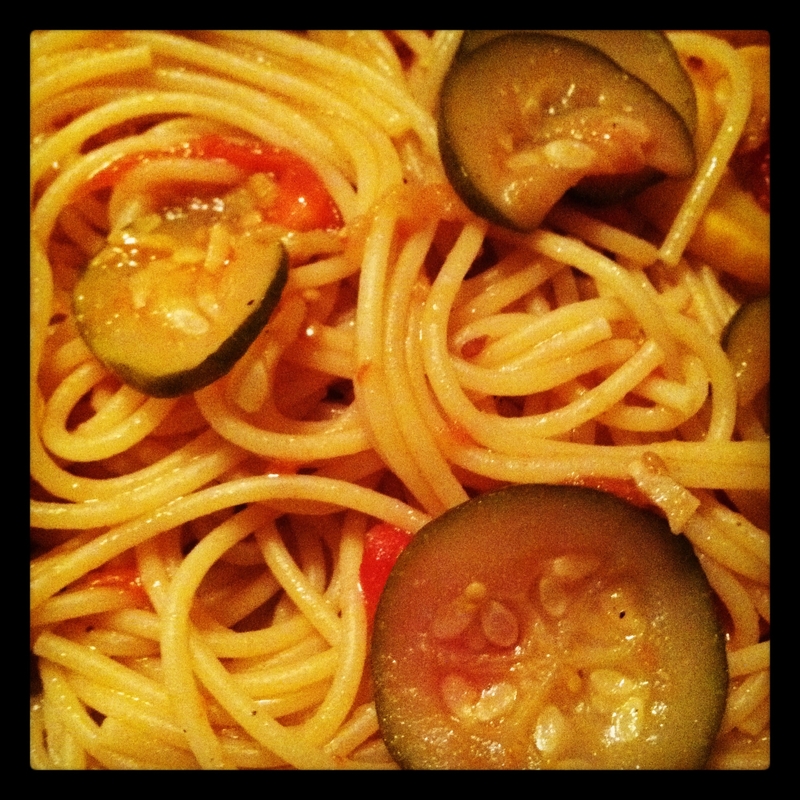 – Once spaghetti is boiled – drain and then combine directly into the sauce – continue to mix until all is combined. – Plate, top with Parmesan and enjoy! © Cookery for Two – 2012. Unauthorized use and/or duplication of this material without express and written permission from this blog’s author and/or owner is strictly prohibited. Excerpts and links may be used, provided that full and clear credit is given to Cookery for Two with appropriate and specific direction to the original content.